Women as Caretakers. No surprise there. It's a role that naturally falls to us, that we embrace - readily or reluctantly - or that we shamefully shun. Two weeks ago, I moderated a panel aimed at providing a collective commentary on women as caretakers. It led me to define who I am: a daughter, a mother, a sister and sister-in-law, an ex wife, a wife, a grandmother, a friend, an aunt, a neighbor, a colleague, an author, a Huffington Post blogger, a columnist, president of my company Ladies, Ink and an expert speaker on self-care. Every role has its own set of expectations, demands, obligations and commitments. I went away for the Thanksgiving holiday - flying with my husband to Cincinnati to be with my mother, mother-in-law and 24 additional family members flying and driving in from 6 different states to celebrate with us. And guess who was the keeper of the details? Me. And guess who was responsible for keeping my 89 year-old mom and 91 year-old mother-in-law engaged, comfortable and happy? Me. Not to mention who was responsible for keeping my five sons, their wives and five grandchildren entertained and content? Me. During my Ohio visit, I also called each panel member to speak with them about the upcoming program and agenda, taking copious notes. When I got back to Tampa, I proceeded to prepare for the forum on care taking. And, of course, I went looking for my notes. Then I went frantically looking for my notes - everywhere. To no avail. Not in my planner. Not in my suitcase. Not in the dirty clothes. Not left in my mom's apartment. I had lost every single page of my notes. What did I feel? Embarrassed. Humiliated. Inadequate. What did I do? Berated myself. Cried. And then called back every one of these busy women, apologized, and started the fact collecting all over again. They were all gracious and understanding - which led me to believe that in a fundamentally basic way, they all could identify with my struggle. This story repeats itself over and over again when we are pulled in too many directions too much of the time. When we overestimate our powers of concentration, organization, and energy. The invitation to the event I was facilitating advertised the evening as: A Collective Commentary: Caring for our Families, our Community and Ourselves. So let me propose another variation: A Collective Commentary: Caring for Ourselves, our Families and our Communities. IN THAT ORDER. Let's seize the opportunity for a bold new start in the New Year. Let's bust out of our self-imposed silo and write our own manifesto - a document of purpose - a personal mission statement. Let's set clear priorities. Let's make a commitment to self-care at all stages of our lives. I will employ hope, without unrealistic expectation. I will listen, without interrupting. I will show kindness, without judgment. I will recognize creativity is chaotic and that the to-do list never ends. I will reserve the right to adapt, modify and change. I will diligently practice the art of gratitude, freeing me from the destructive mindset of entitlement. I will keep peeling the onion further and further down to relevant specifics, thus keeping me focused and balanced. I will live life fully in the moment, even the unpleasant, annoying and challenging parts. I will continue to believe that self-care is healthy, a necessity, a divine responsibility, and a sign of self-respect, not self-indulgence. I will internalize what best-selling author Eleanor Brown says: You Can't Serve From An Empty Vessel. 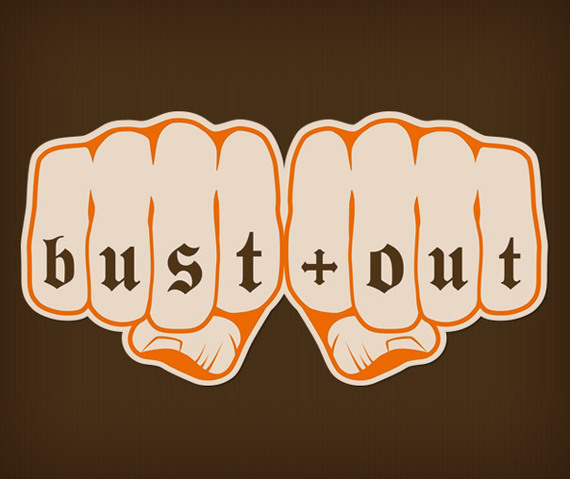 Bust out and do it!